HANDYMAN SPECIAL & FISHERMAN'S DREAM! This lovely, waterfront home is on beautiful Lake Juniper which is a 600+ acre fishing lake stocked with bream, blue gill catfish and said to have some of the biggest bass fishing around with contests every year! This 3bd+office, split-level, cabin style home is ready to finish and was designed to be a 2-story split level with partial basement. The second level was never completed, it was prepped & ready for it to be easily added. The owners have the original building plans that could increase square footage area which go with the sale of the home. The kitchen cabinets are raised and can be painted to suit your individual taste as well as tiled floors, a side-by-side refrigerator with ice maker, Bosch stainless dishwasher and a gas stoveThere is an open Large Living room and dining combo, 3 bedrooms and bath with walk-in shower and a separate laundry room. 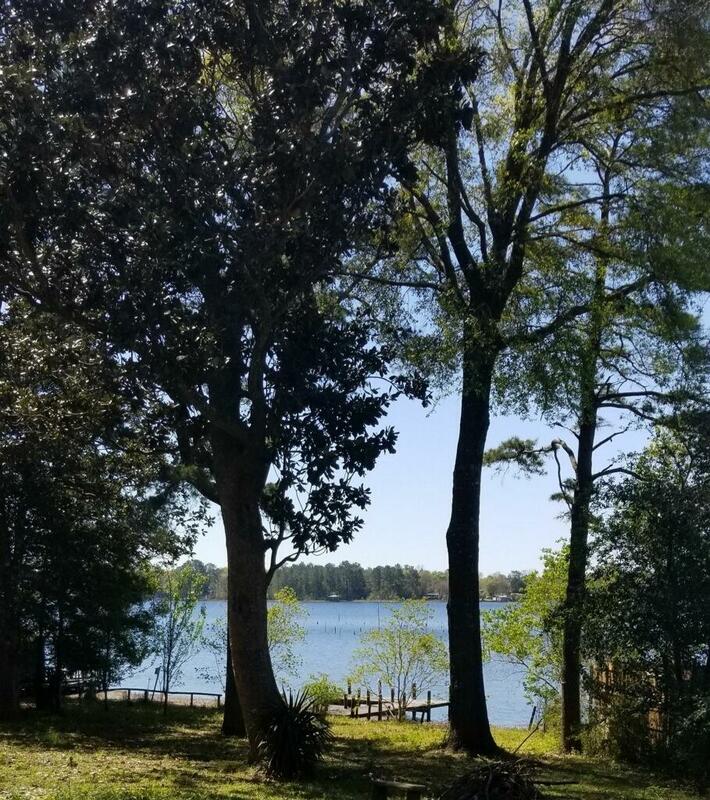 The well landscaped yard is surrounded by many types of shade trees to enjoy your cold, glass of sweet tea on a warm, sunny, day while looking out towards the lake. If you are looking for your first home or a cabin on the lake to enjoy this is the home to see. Call for an appointment today!